Leading-edge research that has supported the introduction of a meningitis and pneumonia vaccine in the UK has won a national award. 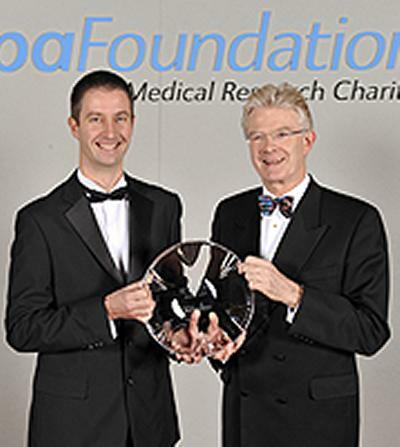 Dr Stuart Clarke from the University of Southampton was given the Bupa Foundation Award for his research at a ceremony last night. “I’m delighted I have been recognised for my work relating to the meningitis and pneumonia vaccine,” comments Dr Clarke, a clinical senior lecturer at the University’s School of Medicine. Pneumococcol bacteria can change over time and become increasingly resistant to antibiotics, which has caused debate among medical professionals as to the effectiveness of the vaccines. Dr Clarke’s work provided clear evidence that supports their implementation. In addition to winning the Bupa Foundation’s 2009 Research Award, Dr Stuart Clarke received a £15,000 prize from the Foundation, which will allow him to continue his research and monitor the effectiveness of this vaccination in the future.